Several years back, we had the great pleasure of reviewing the Broadway touring production of Billy Elliot and it remains one of our favorites. We can't wait to see Drury Lane's take on this extraordinary musical. Here at ChiIL Mama and ChiIL Live Shows we've been wowed in the past by Drury Lane's high production values and professionalism. Get your tickets as soon as possible for best seats and range of dates. The International smash-hit musical BILLY ELLIOT makes its regional premiere at Drury Lane Theatre on April 10 – June 7, 2015. Opening night is scheduled for April 16, 2015 at 8 p.m. Heralded as “A triumph! The #1 show of the year!" by Time Magazine and “Thrilling! Impossible to resist!" by The New York Times, BILLY ELLIOT follows a young boy as he trades in his boxing gloves for dancing shoes. In an unforgettable story set in a small mining town in the English countryside, a dance teacher finds a diamond in the rough when she discovers Billy—a young boy with a passion for dance who inspires the entire community. The musical phenomenon is set to an explosive score by Elton John, celebrating Billy’s journey against the odds to make his dreams come true. BILLY ELLIOT is directed by multiple Jeff Award-winner Rachel Rockwell (Ragtime, West Side Story, at Drury Lane Theatre, Brigadoon at The Goodman Theatre), with Musical Direction by Jeff Award-winner Roberta Duchak (Les Miserables and Sweeney Todd at Drury Lane Theatre, vocal coach for Russell Crowe and Hugh Jackman for the Academy Award-winning film Les Miserables). One of the most celebrated musicals on stage today, BILLY ELLIOT has been dazzling London's West End since 2005. The production is the winner of 10 Tony Awards and 10 Drama Desk Awards, including Best Musical. The production features a score by Elton John (The Lion King, Aida) with book and lyrics by Lee Hall, who wrote the screenplay for the Academy Award-nominated film that inspired the musical. 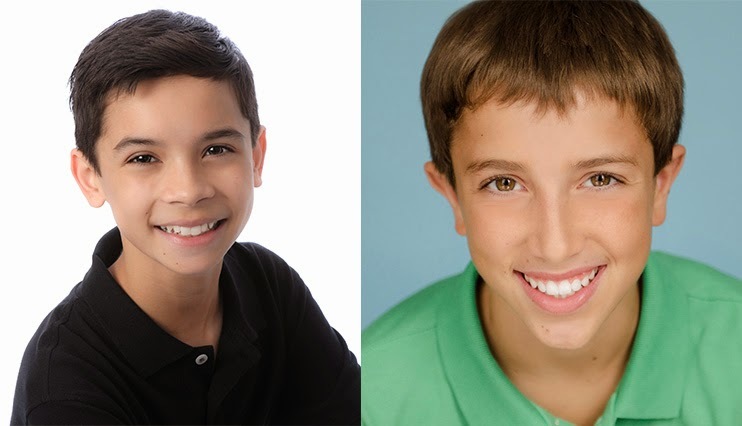 After an extensive search, Drury Lane is pleased to announce that the title role of “Billy” will be played by two very talented Chicago natives, Nicholas Dantes and Kyle Halford. "When the casting process began we asked ourselves: are Billy Elliot's found or made?” says Artistic Director William Osetek. "After months of auditions it was clear that one must be created. 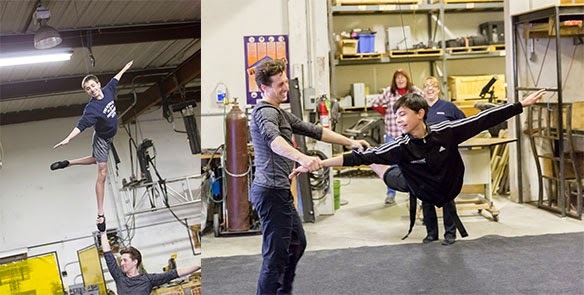 The search required a young actor who brought incredible raw talent, but needed to be cultivated to stand up to the impossible task of performing the role of a young boy whose dance ability leaves one breathless.” The two boys playing Billy have worked for months, honing skills in ballet, acrobatics and tap (not to mention acting and vocal lessons). Also starring is Jeff Award-winner Susie McMonagle as “Mrs. Wilksinson” (Broadway: Les Miserables at the Imperial Theatre, National Tours: Billy Elliot and Mamma Mia! and Next to Normal at Drury Lane), Ron E. Rains as “Dad” (BIG, The Musical and 1776 at Drury Lane, Goodman Theatre’s A Christmas Carol), Maureen Gallagher as “Grandma” (Steppenwolf Theatre, Chicago Shakespeare Theatre, The Goodman Theatre), and Liam Quealy as “Tony” (My Fair Lady at Paramount Theatre, Pirates of Penzance at Marriott Theatre). The cast also features Michael Harp as “Michael” (The Sound of Music at Lyric Opera, Chicago, Billy Elliot in St. Louis), Brooke MacDougal (Member of The Performer’s School ensemble, professional debut) and Peyton Schaffer (Les Miserables and Seussical at Drury Lane,) as “Debbie Wilkinson,” Terry Hamilton as “George” (Airline Highway at Steppenwolf Theatre), Brianna Borger as “Mum” (The King and I and Into The Woods at Porchlight Theater), Rhett Gutter as “Older Billy” (West Side Story at Drury Lane, Brigadoon at The Goodman Theatre) and Bret Tuomi as “Mr. Braithwaite” (West Side Story at Drury Lane, A Christmas Carol at The Goodman Theatre). Rounding out the cast are William Carlos Angulo, Julia Baker, Cody Bolithon, Johnson Brock, Grier Burke, Gary Carlson, Michael Di Leo, Abigail Dudich, Samantha Erne, Allison Graves, Sage Harper, Hannah Clare Horner, Raymond Interior, Amelia Grace Kuhlman, Princess Isis Z. Lang, Emily Leahy, Iris Lieberman, Ingrid Clare Lowery, Katie Malchow, Mia Moore, Ava Morse, Ashton Schaffer, Peter Scharbrough, Steven Spanapoulos, Brandon Springman, Holly Stauder, Zachary Uzarraga, Jonathan Weir, and Fred Zimmerman. As the first regional production, an incredible artistic team has been assembled to bring this story to life, led by Artistic Director William Osetek (Next to Normal, Young Frankenstein and Spamalot at Drury Lane). Scenic design for BILLY ELIOTT was created by Kevin Depinet (Associate Designer for Tony Award winning August Osage County on Broadway, Camelot at Drury Lane) with Lee Fiskness as Lighting Designer (Resident lighting director Santa Fe Opera, Young Frankenstein at Drury Lane), Costume Coordination by Maggie Hofmann (Camelot, The Game's Afoot, and Young Frankenstein [Co-design with Erika Senase] at Drury Lane), Garth Helm as Sound Designer (Tony nomination for Pippin on Broadway, West Side Story at Drury Lane), Nick Heggestad as Properties Designer (Resident properties designer at Drury Lane) and Penny Lane Studios (Samantha Umstead and Coral Gable) as Wig and Hair Designer (Steppenwolf, Lookingglass, Writers Theatre). Additionally, Christine Adair is the Dialect Coach (Broadway and First North American Tour productions of Mary Poppins) and Matt Hawkins is the Fight Choreographer (Les Miserables at Drury Lane Theatre and The Wheel and Belleville at Steppenwolf Theatre Company). Tickets for BILLY ELLIOT are on sale now and available by calling the Drury Lane Theatre box office at 630.530.0111, TicketMaster at 800.745.3000 or visiting www.drurylane.com. The performance schedule is as follows: Wednesdays at 1:30 p.m. ($45), Thursdays at 1:30 p.m. ($45) and 8 p.m. ($55), Fridays at 8 p.m. ($60), Saturdays at 5 p.m. ($60), and 8:30 p.m. ($60), and Sundays at 2 p.m. ($60), and 6 p.m. ($55). Student group tickets start as low as $30 and Senior Citizens start at $40 for matinees. Dinner and show packages are also available. For more information on BILLY ELLIOT and the rest of the 2015-2016 theatrical season, please visit www.drurylane.com. Drury Lane is a beautiful, unique and versatile facility that combines ideal location, functionality and elegance to make it one of Chicagoland's finest facilities. As the premier destination for dining, theatre and events, Drury Lane is home to the nation’s most spectacular Broadway – quality theatre productions. For more information about Drury Lane, please visit its website or Facebook, Twitter, and Pinterest pages.